Struggling to find a theme that can highlight the best parts about your products? Keep reading to learn about the best Product Catalog themes on the market! WordPress has a long-standing reputation for being one of the best eCommerce platforms on the web. Webmasters who use WooCommerce and similar eCommerce catalog plugins can recreate enterprise-level storefronts with little cost involved. Likewise, a custom design could set you back thousands of dollars, and even then — it’s not entirely flexible. This is more the reason why WordPress Themes is such an amazing alternative. Developers go out of their own way to create themes that match a specific goal or purpose. Our focus today is going to be on Product Catalog themes. Essentially, these are themes focused on a mixture of business and eCommerce elements. As an example, you might be a manufacturing company but produce more than just a single product. So, you need a way to categorize your products in a single homepage. There’s always something that you can learn from other eCommerce sites. Another use case for product catalog themes is smaller-scale business owners. Someone who might be in charge of running a vegan-friendly supplements store. Your range of products isn’t big enough for a large eCommerce theme, but it’s sufficient enough to be portrayed on a beautiful business-style website. And that’s going to be our focus for this specific roundup. The following themes exemplify situational requirements for both smaller industrial stores and medium-sized brand product sellers. Most importantly, many of the following designs can be turned into Services Catalogs as well, in case you’re specialized in selling Services rather than Products. Subscribe to our newsletter to keep an eye out for potential updates, and of course, of any potential news for similar themes we release in the future. We’re proud developers of Manufacturer — a lean and mean industrial theme that delivers a lot of flexibility options. Based on Elementor custom content modules, this theme is blazing-fast and meets even the most robust industry standards. Even if you haven’t used WordPress before, creating a site for your industrial business is going to be simple. Our goal for this theme is to give business owners a means to create a successful eCommerce enterprise online. As a result, we have prepared 3 unique demos to showcase what Manufacturer is capable of in the real world. Currently, our demos include businesses that specialize in Industrial Equipment, Wholesale Storefronts, and Product Manufacturers. Even though each demo looks differently, you are able to combine different elements and objects into one personalized design. At the moment, this theme includes more than 50+ widgets, 40+ templates, and 150+ blocks — all accessible from the Elementor dashboard. Most of all, we’re diligent in our pursuit of customer satisfaction. All of our themes come prepared with detailed documentation files, and even video tutorials to help you get most out of this or any other of our themes. Take the Manufacturer theme for a spin today and see how you like it! Catalog-first approach to design. Meaning, Blocks are built to support the display of products in a variety of design presentations. Take full control of your catalog appearance both on the homepage, and elsewhere. Custom contact forms added to product pages. As a result, you’re giving your unsure customers an immediate means of sending their queries. Builders for Header and Footer. Customize the appearance of your header or footer parts of the site in whichever way you like. Digital Products is a modern theme created to help business owners establish a digital storefront. Optimized for selling digital products, this theme’s going to work under a number of scenarios. Back-end customization is supported by SiteOrigin — so you can reorganize design appearance seamlessly. Further, should you wish to convert your site into a Membership-based platform, you can utilize the benefits of the WPDigiPro plugin. Design for membership needs has already been built inside the theme. In terms of presentation, Digital Products will work nicely for product catalog purposes. You have an entire homepage where you can outline your business goals. Most importantly, products can be cataloged in separate pages and further customized using the inbuilt page builder. Professional typography across the board. You can use Google Fonts to change element typography individually. True 100% mobile responsive design. All pages adapt to screen size effortlessly. Automated updates ensures that the theme always stays fresh and packaged with the best features. Productly is a high-performance theme for small businesses who wish to combine their products with a blogging strategy. The mixture between landing page elements combined with blog posts makes for a unique product catalog experience! Thanks to numerous Widgetized areas on this theme, you’re able to maintain a consistent exposure towards your main products. The header part is structured in a way so that your product(s) get instant exposure. This hero section has endless possibilities of customization! Further down, add explanatory elements like product features or anything else that feels appropriate. Needless to say, you can change anything from colors, typography, and things like site logo — all from the Customizer panel. Thorough SEO optimization for pages and posts. Highly optimized codebase. As a result, this theme loads in the 99% percentile on sites like Google PageSpeed and others. Seamless transition between mobile and desktop version of the site. Both versions retain that crisp design aesthetic. Digi Store is a robust, pixel-perfect, theme designed for eCommerce purposes. The visually exceptional combination of design features makes way for quick customer acquisition. Whether you operate a range of 1,000 products or just 10 — Digi Store caters to both stores sizes. In fact, Digi Store Lite is much more of a product catalog theme than its Pro counterpart. You can divide your site into beautiful categories and sections, each with a custom design. Further, the homepage implements much-needed features like a Hero introduction, Box-based links, and concise catalog presentations. You can at any time open up Customizer and rearrange your homepage feel. There are at least 50 different ways in which you can showcase your available product stock. Free Currency Switcher plugin to help you sell your products in a variety of currencies. Customers can create Wishlists, but also compare one product against another. Jstore is an elegant eCommerce theme consisting of more than 7 pre-made site designs. With an emphasis on brands that produce large quantities of products, the Jstore theme is surely going to impress your clients. Structured using Bootstrap and latest web design practices, this theme feels overwhelmingly seamless. As a result, your clients can enjoy a pleasant user-experience, whilst having access to all parts of your product catalog. And it goes without saying that Jstore caters to webmasters with the desire to customize. Configure the appearance of your products in a way that satisfies your need to highlight specific items. Further, SiteOrigin enables effortless Drag & Drop design functionality. Change rows, add objects, and so forth. Infinite Scroll. Customers don’t have to navigate pages as this theme loads new content automatically. An intricate widget that recommends products based on visitor history. AJAX adaptation for Filters and Cart functionality. Everything loads in real-time. Alger is based on the concept of a one-page design. Nevertheless, its library of demos include designs for business, agency, personal, eCommerce, portfolio, and other similar purposes. Thanks to Elementor, virtually all aspects of Alger’s design can be modified. Most importantly, Elementor doesn’t require an understanding of complex code functionality. Instead, just drag and drop design features where you see fit. We really feel like the ‘App’ demo is a perfect fit for product catalog sites. First, the demo itself is tailored towards the promotion of an individual product. However, you can add additional products using Elementor. Further, App is a perfect example of how design can be effective but simple at the same time. Creative use of colors and other CSS elements can provide astonishing results, and this is one design to showcase just that. 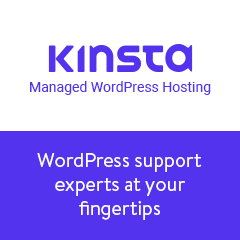 Compatible with WooCommerce, Polylang, WPML, Contact Form 7, etc. Diverse tooling options for Headers and Footers. Add anything you like! Professional typography that’s going to take your content to new heights. Airi is a quickly growing free WordPress theme for business sites. Built with an Elementor back-end, the Airi theme excels in delivering a high-octane customization experience. It’s the ideal theme to consider if you wish to start a new Product Catalog website from scratch. The inbuilt Elementor layout choices are carefully tailored for providing a smooth designing experience. Most importantly, Airi is fully compatible with WooCommerce — letting you sell your products quickly and without hassle. Change typography and colors for individual content elements. Everything’s thoughtfully placed within the Customizer dashboard. Coded using official WordPress coding practices, ensuring high-quality standard. Original design for the WooCommerce plugin. Make your product pages look impeccable. Proland is a Product Landing Page theme; ideal for preparing a website for your official product launch. This high-versatility theme is going to help with selling your products like cupcakes. The best part is that you can use Proland even before your product is ready. Meaning, there’s an option to enable your homepage even if your product is still in development. Further, Proland supports adding crowdfunding links for temporary homepages, etc. Visual Composer ensures that you can organize and reorganize your site endlessly. Either add new elements or take existing ones out. Hundreds of free Icons — Font Awesome, Line, Open Iconic, Entypo, Mono Social, and other libraries. Included for free in this theme: Visual Composer, Revolution Slider, and Metabox Show / Hide. Quickly accessible pre-built designs for a variety of design purposes. Daisy is an eloquently formulated theme for presenting a product or a range of products. Its wide content areas combined with lavish colors makes for an extremely satisfying user experience. Whether it’s your tenth or first time selling a product online, this theme is going to make the process trouble-free. If you enjoy the pre-integrated Demo site, simply use the ‘Demo Import’ option to instantly replicate the same exact design. Afterward, you’re able to go all out with customization using Visual Composer, free of charge. Furthermore, Daisy’s settings panel is ideal for adding smaller tweaks and customizations like changing font styles and CSS colors. It’s an absolute beauty of a theme for any business owner looking to bring their product(s) into the digital stratosphere. Superb design, with custom-designed Blog styles and Shop pages. Modern tools like Bootstrap and Font Awesome. Thorough Documentation to ensure you’re fully capable of taking charge of this theme. You don’t have to follow the ‘flashy’ trends when it comes to online store building. A theme like Mavika exemplifies how minimalism has a place in website design. Soothing colors combined with opaque images is just enough to highlight the best things about your products. That being said, Mavika is a simplistic WooCommerce theme for creating a professional digital shop. The intro section can be dedicated to adding a full-frame photograph of your main product. As you add this photograph, Mavika will offer you to write a small description and also add a Buy Now button. As a result, the photo transforms into the perfect CTA button. Following the Intro section, you have product displays using Widgets and Mavika-based content elements. Shortcodes for Recent and Featured products. A variety of designs for Shop pages: no-sidebar, left-sidebar, and right-sidebar. Great social media integration for helping to promote your brand on social networks. ShopApp is an outstanding small business theme built for digital storefronts. With a distinct emphasis on minimal approach, ShopApp presents your products largely through image representations. This way, there’s little text on your pages to disturb attention, and instead, let potential customers focus solely on product visual appearance. An interesting addition we thought you might like is the way that product pages are presented. Upon clicking on a product, customers are redirected to a full-width photograph of your product, and a concise description that you have provided. It’s a brilliant representation for what a modern product catalog should look and feel like. Precise design allocation to instill both customer trust and a sense of brand identity. Native mobile-browsing experience to improve the flow of user-experience. 13 Demos with more than 100+ customization possibilities. RawOrganic is a strapping WordPress theme implementing the concept of clean, modern, and simple to use. This theme is ideal for large shops specializing in a line of products, but also niche-specific storefronts. The name might imply something to do with food, and while isn’t false, RawOrganic is merely a name for this featured-packed beauty. The 7 pre-built homepage designs provide an ample amount of variety to get you started. Furthermore, RawOrganic is Visual Composer friendly, ensuring that you’re only a few clicks away from adding major site changes. The light-colored design speaks for itself, delivering a delightful experience for the visitor’s eyes. Save more than $70 because this theme includes free premium plugins like Essential Grid, Slider Revolution and Visual Composer. Sidebar modules which can be enabled on different parts of the site, or hidden entirely. In the event that your products do correlate with food, you can enjoy using a Recipes module to publish all your favorite dishes. The colorful yet minimal look of the Essies theme is hard to ignore. Something just feels so very well put together that any brand considering this style is going to love their decision. Needless to say, having four styles to choose from (demos) — makes that decision even easier. Essies is based on concise design-inspiration that’s gathered from the latest trends in the industry. Targetted for Fashion stores, we don’t see why Essies couldn’t work under different circumstances, either. Grid layouts are always a pleasure to work with, and for this theme, it’s certainly a breeze. Interesting features include premium modern fonts, a Mega Menu to show off your products, and a versatile options dashboard. Full-on eCommerce support. Ability to add physical but also digital products. A custom affiliate module to help you sell affiliate items. Custom tracking system for orders, and also full coverage for tax needs. Instagram integration so that you can highlight your product images and everything else that’s happening with your brand, directly from your homepage. Quick-view for Products. Lets visitors to quickly preview a product page without losing their attention. Since we have mostly focused on smaller-scale themes for product catalogs, let us close this roundup by mentioning MBStore. This is a substantially bigger theme in a sense that MBStore provides the complexity to get thousands of products displayed. But even then, it’s hard to ignore the beauty that resides within each element. For example, the navigation menu features a robust drop-down structure, where you can highlight each category separately. Also, the flexible core provides a way to highlight lots of business details on the homepage, alongside all the product widgets. You can even focus on writing stories since there’s a uniquely designed Blog module added to this theme. All in all, a fantastic solution for brands that wish to push large quantities of products online. Intriciate design for product pages. It’s almost as if product pages are blog posts, letting you go really deep in describing what a given product does. Sitewide SEO optimization for all pages. You can still use a plugin like Yoast, but the more important stuff is built inside. Visual Composer as the core customization plugin, included for free.